Every summer, ITS provides students with internship opportunities. This year, ITS is hosting 25 interns: 20 are new, two are high school students, and three are returning from last year. They come from U-M, Wayne State, Eastern, and others schools. The program runs for 14 weeks, from May 7 to August 10. This program is in its fourth year, and each year it improves in its organization and reputation. Last summer the program had 16 interns. Each student was interviewed and selected to work in departments across ITS, using and learning skills to help their teams with major projects. Stefanie Horvath, intern supervisor and assistant director of communications for ITS stated: “Our team has had the opportunity to work with student interns for the past several years and it’s always been a rewarding and energizing experience. In addition to the extra support for special projects over the summer months, we benefit from the new perspectives and experiences our interns contribute to our daily work. It’s an all-around great investment.” This is Horvath’s first year as an intern supervisor, but the ITS Communications team has worked with student interns since the program began, and even before that. Part of this internship program focuses on professional development. In a statement about the program, one intern, Derrick White, a student from Wayne State University, stated, “I was really drawn to the professional development aspect of this program. I like the idea that I’m not just working, I’m also learning skills that I can apply in the workforce.” Along with gaining experience within the work field, each intern is assigned a coach within their department and a mentor within ITS who is in a different department than their own. These mentorships help the interns with learning the operations within a corporation and the responsibilities required of being an employee and fellow coworker. Along with this guidance, these mentors also give professional advice regarding the intern’s career goals, helping form connections across ITS and the university, and developing strategies to reach those goals. The interns also work together in cohorts to lead, develop, and complete their own projects. 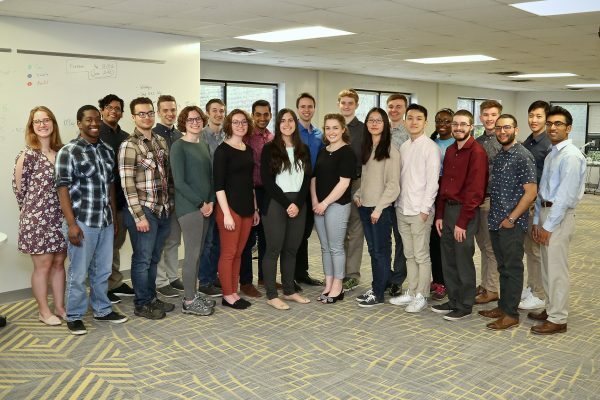 Some of these projects include migrating the internship website to a new platform, creating a back end to the U-M Friend Account web page, developing a new social media content strategy plan, developing self service virtual machines, creating a system to determine what projects team members across ITS are working on, and developing a privacy tool for student data. These projects will be open to the public and showcased on August 10, at noon in the Arbor Lakes Dome. Samantha is an intern for the ITS Communications team. You can reach her at srderosi@umich.edu.